My theater habit is getting out of control. In 2012, I saw over 100 local theater productions by over 30 theater companies (including the 16 shows I saw at the Minnesota Fringe Festival). Comedy, drama, musical, and every possible combination thereof. I won't claim to list the "best" or the "top" shows, because who am I to judge what's best? Truth be told, I've never had a bad experience at the theater. But of course, there are shows that I enjoy more than others, shows that inspire, enlighten, amuse, move, surprise, challenge, satisfy. Shows that stay with me weeks, months, or even years after I've seen them. These are just a few of my favorites from 2012. Agree? Disagree? Head to the comments section below and share your favorites of 2012. Ash Land, Transatlantic Love Affair: My favorite show of the fantastic 2012 Minnesota Fringe Festival was also the last one I saw, a Sunday night audience pick. This very loose retelling of the Cinderella story is a totally unique creation that moved me in so many ways with its innovative and simple way of storytelling. The company of actors embodied, in addition to the human characters, everything in the world of the story, from the waving wheat, to the water pump, to the long awaited rain. 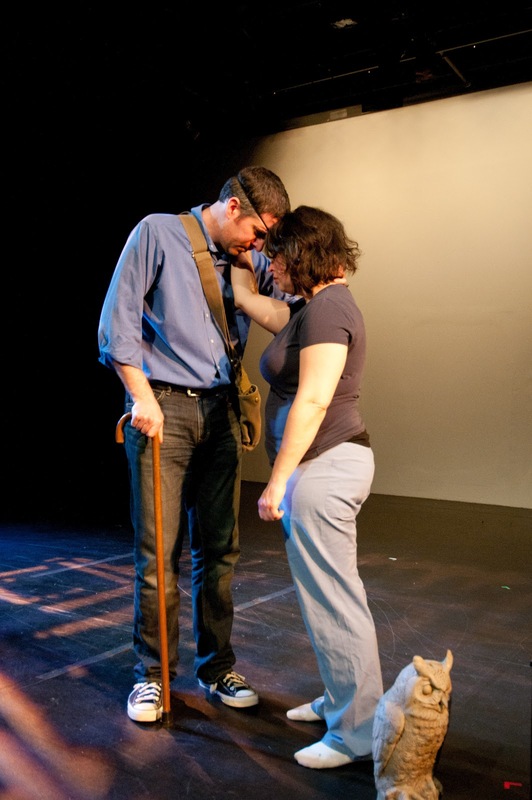 Ash Land is everything theater should be, or as I said in my original blog post: “Friends, this one really touched me. And that's all I ask from theater - to move me in some way, whether it's to laughter or tears, or a different way of thinking about something, or a different way of seeing something.” It was my first show by TLA (a double Ivey winner this year, for Ballad of the Pale Fisherman and the Emerging Artist Award for co-founder Isabel Nelson), and I plan to see everything they do from now on, beginning with a reprise of their 2011 Fringe show Red Resurrected, playing at Illusion Theater in February. 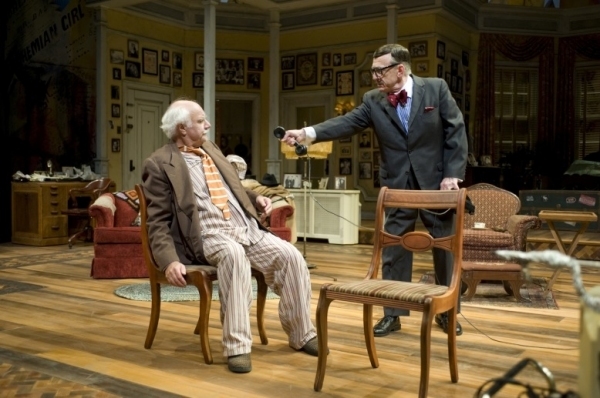 Buzzer, Pillsbury House Theatre: Pillsbury House Theatre does not make the kind of theater that’s nice and fun and pleasant. They make theater that will challenge you, make you think about the world you live in, and want to do things differently. Whether it's Tarell Alvin McCraney’s Brother/Sister trilogy, which continued this year with The Brothers Size, or the new play Buzzer, a story that explores race, gentrification, and the complicated relationship between three friends. 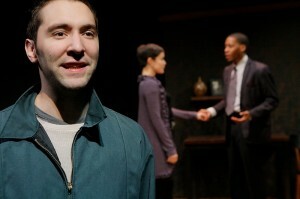 The trio of young actors all gave powerhouse performances, including an Ivey Award winning performance by Hugh Kennedy. If you missed this show, you're in luck – the play is being remounted at the Guthrie's Studio Theater beginning in February with the original cast (which also includes Namir Smallwood and Sara Richardson). Gruesome Playground Injuries, Peanut Butter Factory: This funny and surprisingly moving little play about the lifelong relationship between two childhood friends (beautifully portrayed by Adam Whisner and Leigha Horton) was perhaps my most surprising and delightful theater find this year. With very little idea of what I was going to see, I completely loved the experience. As I wrote at the time, "This is why I do this, friends. To go to an out of the way, under the radar theater with zero expectations, and be totally surprised and delighted and touched and moved. It doesn't get much better than that." It was far from the biggest or splashiest show (produced at the cozy little Intermedia Arts theater), rather it was quiet, powerful, and transformative. Into the Woods, Mu Performing Arts: It was a great year for Sondheim in the Twin Cities. Theater Latte Da staged Company (more on that later), Bloomington Civic Theater did a beautiful production of Sunday in the Park with George, and Mu tackled Into the Woods, setting the European fairy tales we're all familiar with in the woods of Asia. As I wrote at the time, "the shift works beautifully, shedding a slightly different light on these archetypal stories that are common among many diverse cultures, attempting to make sense of our shared human experience." With beautifully simple sets and costumes, a fabulous cast that included Mu favorites Randy Reyes, Sheena Janson, Sarah Ochs, and Katie Bradley, and that wonderful Sondheim score perfectly executed under Denise Prosek's music direction, it was both classic Sondheim and something new. 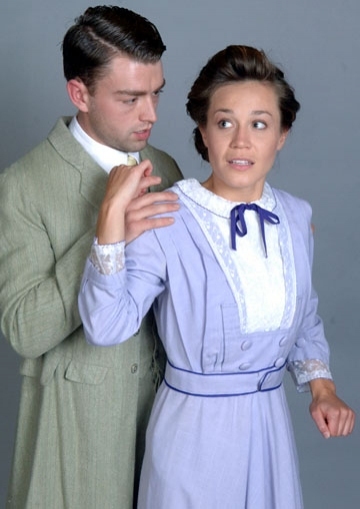 My Antonia, Illusion Theater: My first Illusion show was a remount of a successful play from a few years ago, which I regretted missing the first time around. 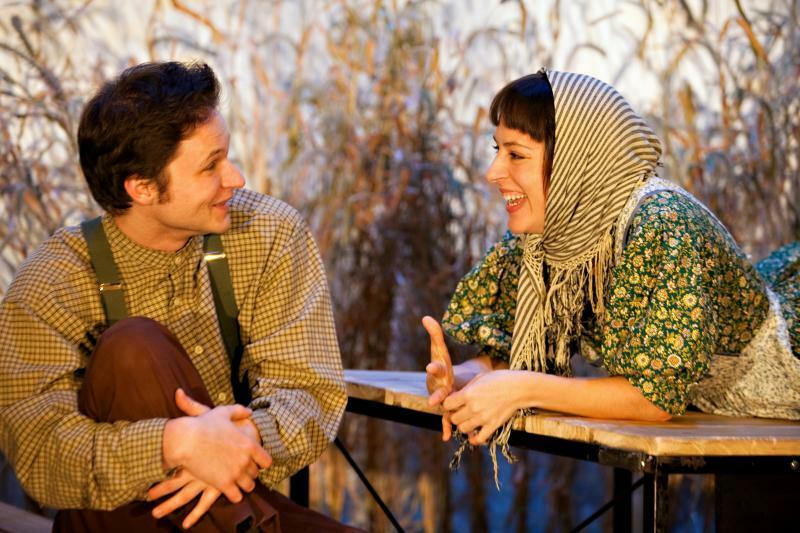 This beautiful adaptation of Willa Cather's pioneer novel moved me with its sense of nostalgia for that time in our history when everything was new, told through Cather’s wonderfully descriptive prose, a talented cast playing many different characters (led by Joel Leistman, Dustin Bronson, and Emily Gunyou Halaas), and beautifully evocative music. Its simple beauty unexpectedly brought tears to my eyes. 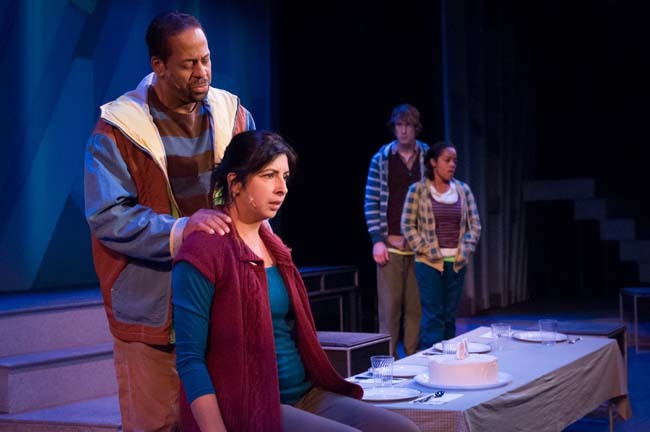 Next to Normal, Mixed Blood Theatre: Next to Normal, a gut-wrenching look at the effects of mental illness on one typical American family, is simply one of the best musicals written in this young century. It's one of my favorite scores to listen to, and I saw the Broadway production three times (including once on tour), so needless to say I was thrilled to hear about this local production. With its simple staging, talented and racially diverse cast, and excellent execution of the difficult and driving rock score, Mixed Blood did not disappoint. 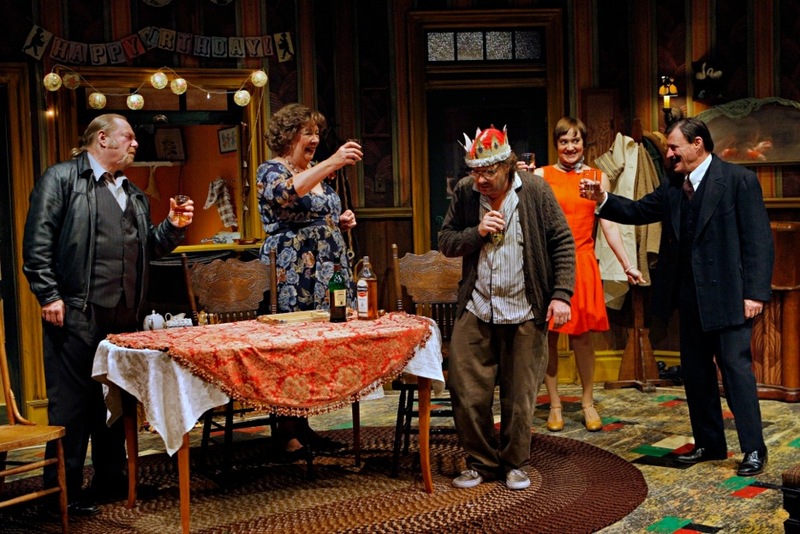 Red, Park Square Theatre: It was a good year for Park Square. They started the year with a spectacular production of another one of my favorite musicals, Ragtime, about early 20th century America and the diverse people who inhabit it, with an amazing cast full of local talent (I'll talk more about a few of them a bit later). But if forced to choose, I have to say that the intense two-person drama Red was my favorite Park Square production this year. A career performance by veteran local actor J.C. Cutler, equally matched by the up-and-coming young actor Steven Lee Johnson (see also Beautiful Thing), playing a complicated teacher/student, father/son, mentor/mentee relationship, set in the world of art in 1950s New York City. 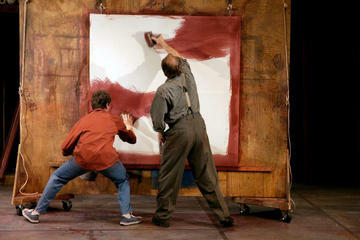 A beautifully written play, fantastically acted by two performers totally in the moment, a lived-in set that included life-size replicas of huge and famous works of art, in short, "this play is an almost visceral experience, with art, music, ideas, words, appealing to all of the senses." 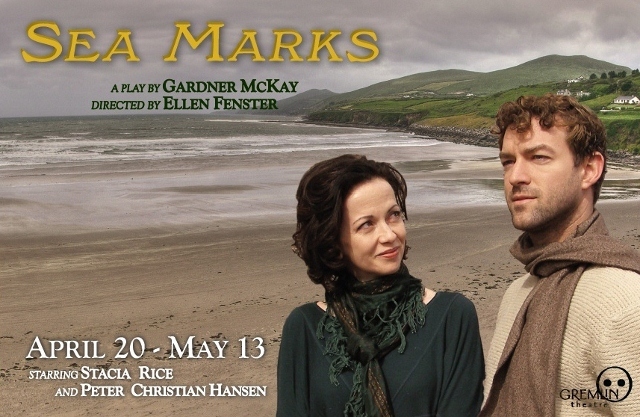 Sea Marks, Gremlin Theater: The Gremlin is another fairly new-to-me theater that I've really come to enjoy, showcasing a wide variety of work, from the hilarious farce An Absolute Turkey, to the dark comedy A Behanding in Spokane, to my favorite of this year, Sea Marks, a quiet little play about an Irishman and a working woman from Liverpool who embark on an unlikely romance through letters. Two of the Twin Cities' best actors Stacia Rice and Peter Hansen played the couple, about whom I wrote, "to watch them together in this intense, beautiful, sweet, awkward little dance of a play is a true pleasure." 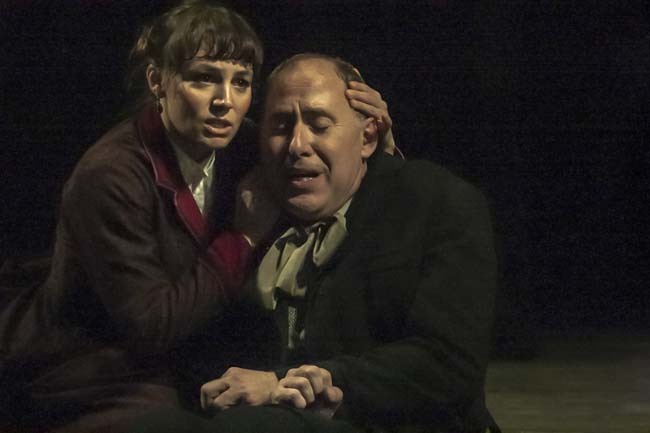 Spring Awakening, Theater Latte Da: If you've read this blog before, you know that Theater Latte Da is my favorite theater company, specializing in what Artistic Director Peter Rothstein calls "intelligent musical theater." 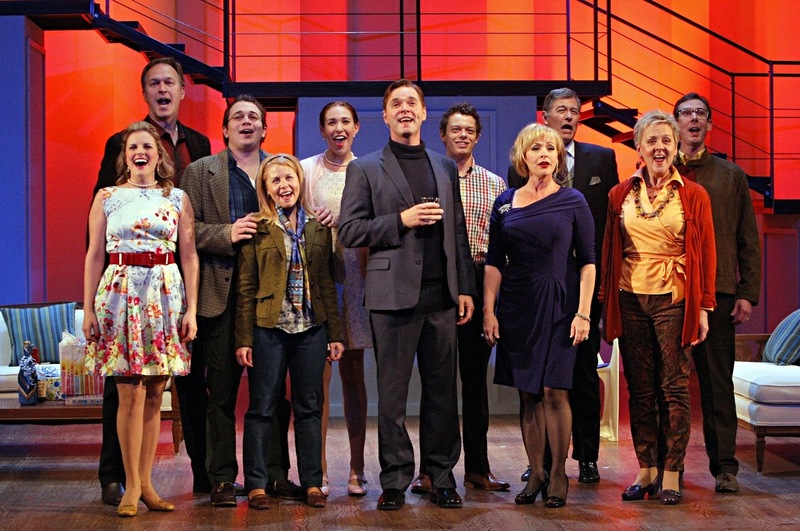 I really loved their fall production of perhaps my favorite Sondheim musical, Company, which they managed to make modern and relevant despite it being over 40 years old. But their spring production of Spring Awakening was, simply put, perfection. 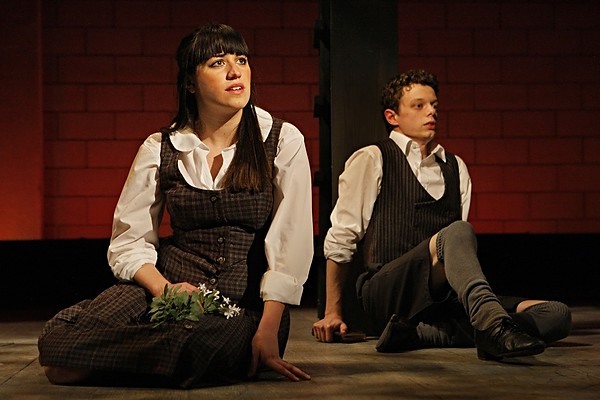 Along with Next to Normal, Spring Awakening is one of the best musicals of this century, in which a 19th century German play is turned into a rock musical exploring the difficulties of being a teenager in this world. Latte Da's superb production featured a super-talented and energetic young cast - Cat Brindisi, David Darrow, Tyler Michaels (more on him in a bit), and a bunch of the University of Minnesota's best theater/dance/music students. The choreography by Carl Flink was the best I saw all year, and took full advantage of the youthful passion and energy of the cast. It was successful and extremely satisfying on every front – and deservedly won an Ivey Award for all-around excellence. As one evaluator put it, "this is the reason the Iveys were created." Summer and Smoke, Theater in the Round: 2012 was also a great year for Tennessee Williams, one of my favorite playwrights. The highlights include a beautifully sad production of The Glass Menagerie at Yellow Tree Theatre, the intense and bristling Cat on a Hot Tin Roof at the Guthrie, and Autumn Song, a new piece by local composer George Maurer, in which the poems of Williams and Rainer Maria Rilke are gorgeously set to music. The one blight on my year of Tennessee Williams is an unfortunate and unintentionally comedic Broadway production of A Streetcar Named Desire (I'm looking forward to seeing Ten Thousand Things' production in May to see how it should be done). But my favorite Williams experience this year was a show I almost didn't see, Summer and Smoke at Theatre in the Round. 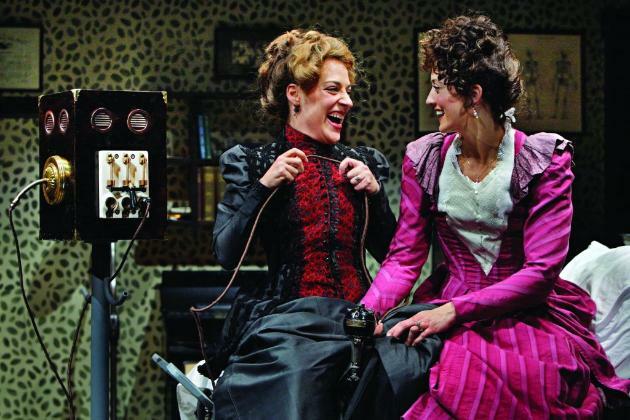 I'd never heard of this play, and hadn't been to Theatre in the Round in years, so I wasn't quite sure what to expect. I was blown away by the tragic love story and the performances of the cast (particularly Joanna Harmon as the tortured Miss Alma) on this intimate little stage. It was heart-breakingly lovely. Turn of the Screw, Torch Theater: A perfectly thrilling ghost story at one of my favorite venues, Minneapolis Theatre Garage, Torch Theater's production of the Jeffrey Hatcher adaptation of the classic ghost story was just in time for Halloween. Two excellent performances by Lindsay Marcy as the governess of two troubled children at a spooky remote English estate and Craig Johnson as every other character in the story fueled this tense and tight drama that continued to give me chills even after I left the theater. Watching the governess fall apart as the events unfolded was deliciously disturbing, even more so when you realized it might all be happening inside her head. 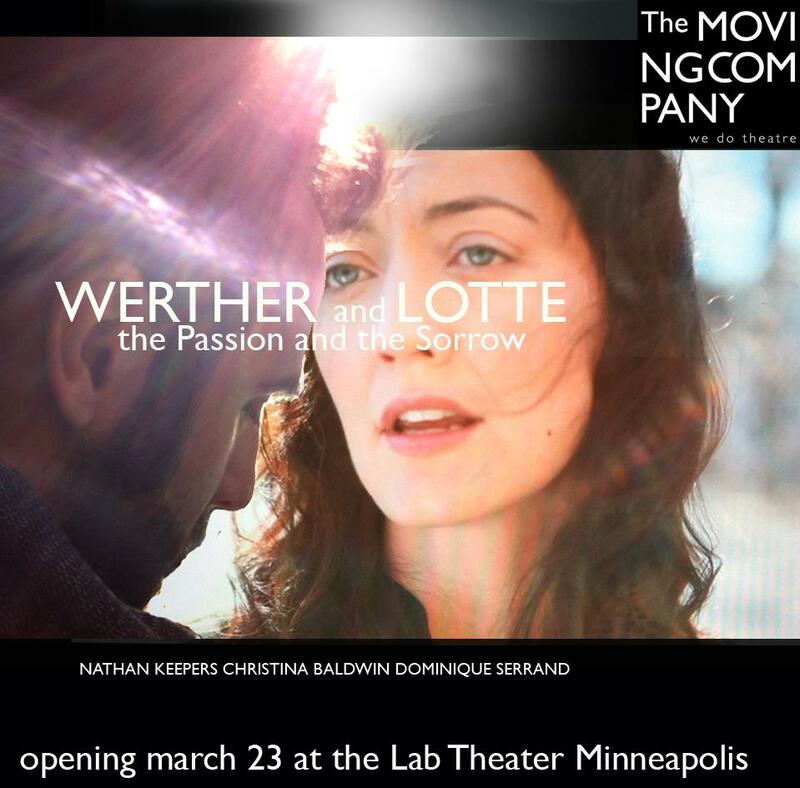 Werther and Lotte, The Moving Company: For the second year in a row, a production by this new-ish theater company founded by Theatre de la Jeune Lune artists Dominque Serrand and Steven Epp has landed on my list of favorites. This time it's a lovely and innovative interpretation of a novel by Goethe. Christina Baldwin (more on her in a moment) and Nathan Keepers brought their individually unique and specific talents (hers musical, his physical) together to create a piece that combined music, movement, images, and storytelling in a way that pushes the boundaries of what theater can be and do. In other words, "it's truly lovely and a breath of fresh air." Xanadu, Chanhassen Dinner Theatres: You may have seen ads for the Chanhassen's summer show that quoted me as saying, "it's the most fun I've ever had at the theater!" While it's true that the Chanhassen puts on the best press night in town, the fun mostly came from the show. Xanadu was the perfect summer entertainment (I saw it twice) - light and fun and hilarious, but with some clever commentary on the state of musical theater that proves it's in on the joke. It was a bit of a departure for the Chan, which usually does more traditional, classic musical theater (see their current production of Bye Bye Birdie, or next summer's production of Joseph, the third in six years), and a very successful one at that (to my eyes). A relatively small cast allowed each member to shine, from the Olivia Newton John-esque Jodi Carmelli to Kersten Rodau in a hilarious turn as an "e-evil woman!" And the cheesy 80s music featured in the show became my soundtrack of the summer. the sobering and intense war and relationship drama Time Stands Still, the hilarious British comedy Hay Fever, the story of poet Langston Hughes Are You Now or Have You Ever Been (featuring Gavin Lawrence, who brought Hughes and his poetry to life in one of the best performances of the year), the tensely claustrophobic study of human nature The Birds, and last but not least, the ridiculously hilarious adaptation of the 18th century Italian play The Servant of Two Masters (currently playing through January 20). Of special note this year is The Jungle Theater because of the consistency of quality in all five of their shows this year. 2012 was my second year with a season subscription (unlike many theaters, their season runs concurrent with the calendar year), and I loved everything I saw. They've really grown on me as one of my favorite theaters in town (along with the Guthrie, Theater Latte Da, and Ten Thousand Things). Firstly, they have the best sets in town, in the sense that the sets are perfectly matched to the story. I always feel like I'm peering into a life-sized diorama of some fascinating and clearly drawn world. Secondly, they make smart and interesting choices in plays, this year beginning with the thrilling mystery Dial M forMurder, continuing with the bizarre Pinter play The Birthday Party, the hilarious farce Noises Off, the beautifully absurd Waiting for Godot, and finally, the piece de resistance, the sublime In the Next Room. Add some of my favorite actors and directors, and you have a very strong year of theater. Next year looks to continue this trend, starting with Venus in Fur in February, and featuring one of my favorite musicals Urinetown this summer. In addition to my favorite shows and theaters, I also had a few favorite theater artists this year that are worth mentioning. I have long been a fan of Dieter Bierbrauer’s, but never more so than in 2012. He was featured in four of the shows mentioned above, all wonderfully diverse performances in terms of character and musical style. From a poor immigrant father in the turn of the century musical drama Ragtime, to a California surfer dude singing 80s pop songs in Xanadu, to poet Rainer Maria Rilke singing his beautiful words (as composed by George Maurer) in Autumn Song, to a 35 year old single man contemplating life and marriage in Company with its intricate, gorgeous, and powerful score. That's quite a collection of magnificent performances. Like Dieter, I have long admired Christina Baldwin (remember her spectacular turn as Edie in Grey Gardens at the Ordway a few years ago?). Watching her over the years, I have come to learn that there is nothing she can't do - comedy, drama, any style of musical, straight plays. She displayed that range to remarkable effect this year, including four of my favorite shows of the year. She also began the year in Ragtime, giving a sensitive and understated performance as a wealthy wife and mother who yearns for more. She co-created and co-starred in the lovely and moving Werthe and Lotte, then played the fun and flirty Italian singer Francesca in Roman Holiday. Last but not least was a moving performance as a neglected wife in the Jungle's delightful In the Next Room. And even though the latter is a play, we still were treated to her gorgeous singing voice, in addition to her tremendous acting talent. Unlike the above two artists, I had never heard of Tyler Michaels before this year. But he began to impress me in the first show I saw in 2012, You're a Good Man Charlie Brown at Bloomington Civic Theatre. Tyler didn't just play the dog Snoopy, he physically transformed into him. He brings that physicality to every role he plays, although not many are quite as extreme as the transformation into a dog. He followed that performance with a portrayal of my favorite Spring Awakening character Moritz that was both physical and emotional. In two days I saw Tyler in Illusion's modern day fairy tale A Night at Olympus (part of their Fresh Ink series that focuses on new work), and Theater Latte Da's summer variety concert. He can currently be seen in Bye Bye Birdie at the Chan, which unfortunately does not fully utilize his talents. He's a talented young actor who's exciting to watch, and I for one am looking forward to what he has planned for 2013. I apologize for the length of this blog post, and thank you for hanging in there if you're still reading this! I saw an incredible quantity and quality of theater this year, and hopefully this has given you a pretty good summary of the highlights. I'm extremely grateful to be a part of this amazing theater community, and I'm excited to see what 2013 has in store. 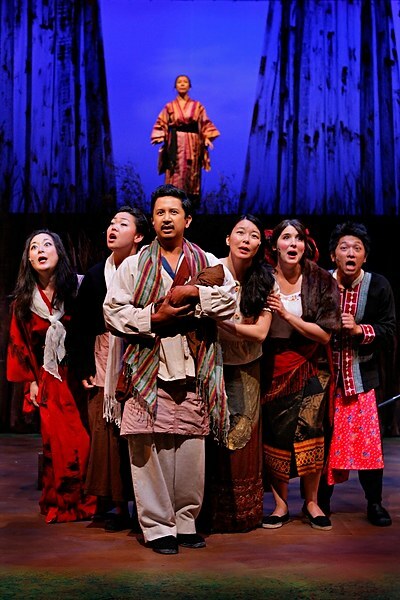 Happy new year of theater to you all!